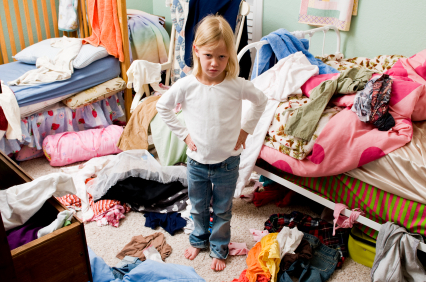 I am so fed up with trying to get my kids to clean their rooms. It seems like I spend half my summer repeating “clean your room or you’re grounded!” Any tips to help me would be great. Thanks! P.S. Hope you’re having a great summer! Hey Sarah! Hey guys! Happy Summer! And thank you for writing in. It has been one beautiful summer. (if you ignore all the rain) My husband and I finally got outside and on the water in our kayaks. It was so peaceful. We switched to our own individual kayaks after multiple attempts to canoe together. Canoeing always seemed like a good idea but then we would start spinning in a circle and blaming each other for all the trouble. Alas, to keep our marriage happy and argument free we tried kayaking and it has been awesome. Sarah, I hear you loud and clear and you bet that I can I relate to what you’re going through! Summertime makes me think of my childhood and spending hours in our above ground pool. I remember being a kid and my mom would yell at me to clean my room. I would ignore her and all her threats and my room would get so messy you couldn’t see the floor. All I wanted to do was ride my bike outside and swim in my pool. So, to get back out there a.s.a.p. I would try all kinds of kid tricks to get my room clean before the words “you’re grounded” put a ka-bosh on all my playtime. I would even try just folding the top shirts and pants in my dresser drawers to make it look like I had folded all my clothes. I hid things under the bed. And I always thought my mom wouldn’t catch on. Turns out she was a pretty smart lady and it never worked. I feel bad for my mom. But I do think things would have gone better for both of us if she gave me a list. 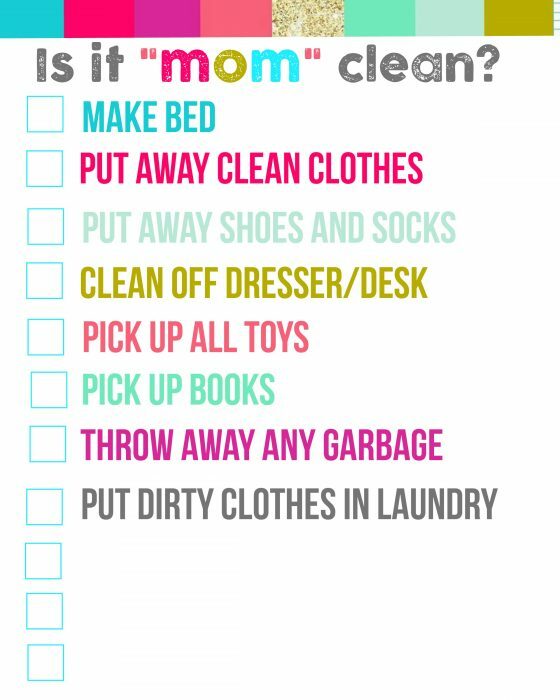 The other day I stumbled across the “is it mom clean?” list and want to share it with you, Sarah, and all you poor moms who can relate. Here’s to hoping that I can totally improve your summer too by cutting down on the silly fights you are having with your kids. I mean, come on! Wouldn’t we all rather be spending our time in the pool relaxing and enjoying the sun? © Copyright 2017 ProJan Restoration, Inc.
Sign up for special offers and home improvement tips!